The Best Travel Epilators: Epilating On The Go! For people who are always on-the-go, the most crucial part of the day is preparation. Especially for business people who handle a lot of meetings, models that live off of looking good all the time and just everyone who takes pride in their appearance, there’s no more important thing than the way they groom themselves before they start their days. Hence, we bring you this article on travel epilators. Let’s be honest. Unwanted hair, especially in the facial area, is an awful sight whenever we look in the mirror. And this even becomes that great of a deal especially when we go travelling. No matter what the reasons are, for vacation, for work, for business, travelling leaves us in a pickle when it comes to how to trim those rough edges that needs proper grooming. Luckily, there are epilators that cater to the needs of travel people. Here, we list a few products that will surely help you keep that unwanted hair in-check, and make you more confident in presenting yourself all the time, wherever and whenever. For a woman, there’s nothing more frustrating than having the need to groom in the legs and bikini area just before a swim. Or for an executive who wears a beard that’s just all over the place and sideburns that makes him/her look disheveled and poorly groomed. Compact and easy to carry, this monster is one of the best –sellers of the Braun epilators line. With 40 tweezers aligned, this can help you groom almost any area of the body with less the pain from the high-frequency massage it also gives. You can use it virtually anywhere even in the tub since it is waterproof. Rechargeable and can last up to 40 minutes of continuous usage. You can use it whenever, day or night, with its built-in smartlight. It’s surely worth your $105. Has a bit of a fatter head than its Braun counterpart, but doesn’t lose in quality. Instead of metal discs, Philips used ceramic textured material which better removes hair even the finest ones, also less painful. Can also last up to 40 minutes and has a built-in smartlight as well. However, you can only use this dry. 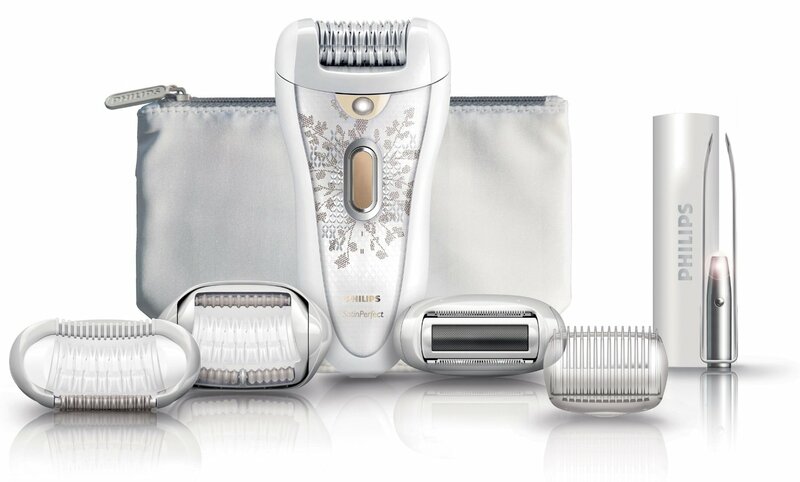 To compensate, this epilator is easier to clean with its detachable head, comes with a travel pouch for $105. If there’s an epilator that’s specifically designed for travel, this is it. The most compact and slimmest epilator ever conceived, it is easy to carry and easy to store, designed with a smaller head for a more accurate grooming session. Battery-operated so you can use it anytime. It also comes with a brush for easy cleaning. Your $24.95 is surely well spent with this. We all know that looking good while travelling is pretty hard to maintain but with dealing with those unwanted facial hair, you’re at least one step closer to that goal. An epilator to bring depends really on your personal opinions, so take your pick and test them out. There is something for every price range within our list, so whatever your budget you’ll have a travel option for your grooming needs. Comments Off on The Best Travel Epilators: Epilating On The Go!